Indian women have played 14 international matches before coming to Myanmar, including two friendly matches against Indonesia, winning 3-0 and 2-0 in Jakarta in January. India women’s team is gearing up to take on Indonesia in its opening match of the AFC Olympic Qualifiers Round 2 here and head coach Maymol Rocky described the clash as “mental litmus test for her team with incredibly high stakes”. “It will be a litmus test for us mentally. We need to be mentally strong, and aggressive. Every team will want to start the Olympic qualifiers Round 2 with a win, and so do we. A win in the first match will put us in a good position for qualification, which we are aiming for,” the coach said at the official pre-tournament press conference. “We had played two friendly matches against Indonesia in January, and they (Indonesia) showed that they can be tough opponents. “The fact that we had won the two matches makes it harder for us mentally. We cannot underestimate them, and take it for granted that we shall beat them this time as well,” Maymol said. Skipper Ashalata Devi said that the team is ready to meet challenges head-on. “We are aiming to qualify to Round 3. We are extremely glad to have accumulated the exposure, and experience through the friendly matches that we have played before coming here to Myanmar,” said Ashalata. 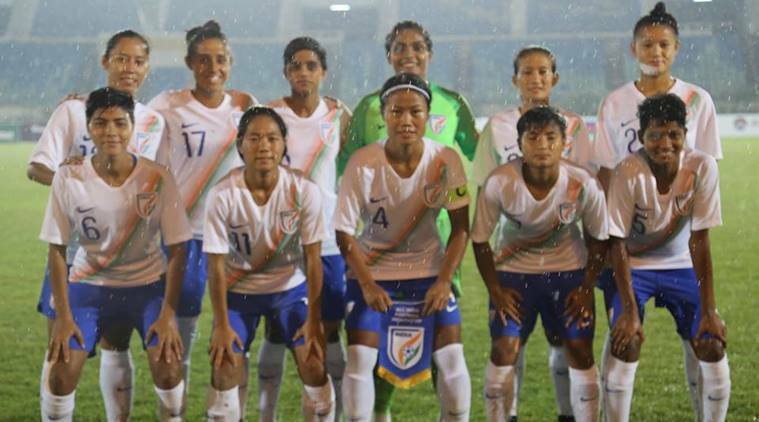 The Indian women have faced the likes of Romania, Uzbekistan, Iran, Hong Kong, Kazakhstan amongst others, and all their three opponents of the AFC Olympic Qualifiers Round 2 since January 2019. “Constant competitive environment in a match setting has helped us develop our confidence. Today we are aware of our capabilities. If we play to the best of our abilities, we can defeat some of the best teams in the region,” she the captain. The kick-off on Wednesday is slated for 2pm IST.